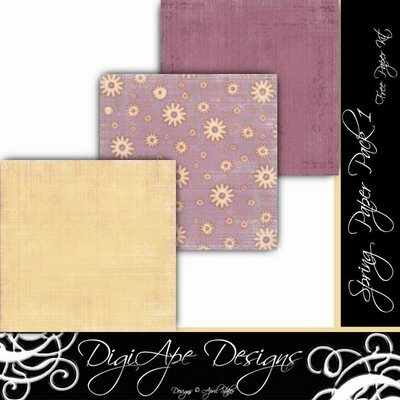 DigiApe Designs: New Spring Papers! I had loads of fun creating some spring papers last week. Please support my designing by making a purchase! Thank you! I really appreciate your business! April: This looks really cute! I'll send you a pick when I get a chance to make something.